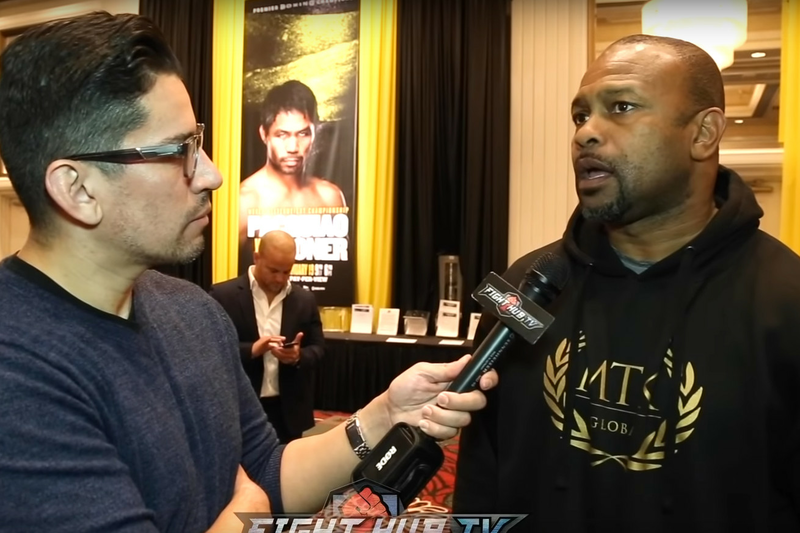 Roy Jones Jr. breaks down the recently announced Canelo Alvarez vs. Danny Jacobs fight. “I think that’s a great fight. Great fight for boxing, great fight for those two fighters. Great fight. I mean, Danny Jacobs is one of my favorite people in the world because of him defeating cancer like he did. And Canelo’s one of my favorite fighters in the world because Canelo can freakin’ fight. And I know they say ‘Mexican style,’ Canelo can fight all styles, and I love him for that. “Stylistically I think Danny does because he’s bigger and taller. Yeah, I think Danny has the advantage because here’s the thing — Danny’s gonna pick his shots on the [outside] and do what he wants to do on the [outside]. Canelo has to get close to Danny to hit him, ‘cause he’s smaller than Danny. “I’m okay with it anyway ‘cause it’s good for both fighters, like I said. Danny Jacobs, because of the way he defeated cancer and came back, is one of my favorite people of ever, in life, of all time. He’ll be one of my favorite people from now on. So to see that happen for him — Golovkin had two paydays with Canelo — to see Danny get one now, come on bruh. I gotta tell you I love it. It’s not taking away from nobody. But Golovkin did get a chance to experience two good paydays with Canelo. Why not let Danny experience one? “Well they can still go fight Golovkin. Golovkin still needs opponents. And that’s still a big fight. So go fight him and the winner fight the winner. It’s not hard to figure out. Look, I don’t wanna be a promoter but…that’s the way it should happen.